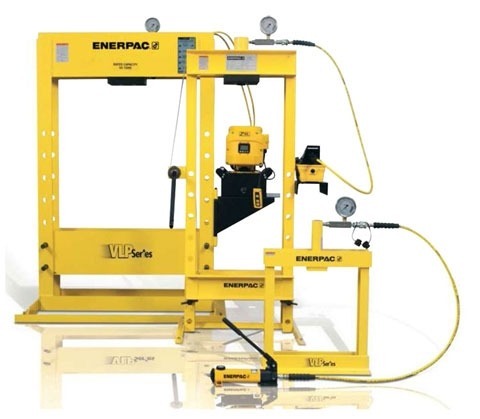 Enerpac hydraulic presses are available in a large variety of dimensions and capacities. The operation demands in production environments are often very specific, that is why Enerpac delivers hydraulic presses in a wide range of sizes and capacities. The production requirements determine whether the tools are powered by a manually operated, air hydraulic or electric pump. All Enerpac hydraulic presses feature high quality press frames. All models powered by an air or electric pump can be delivered with a manually operatable safety valve with an automatic central position. Laco can deliver a large selection of Enerpac hydraulic presses in capacities ranging from 10 to 200 ton. Before purchasing an Enerpac hydraulic workshop press, please be sure to select exactly the right press and the most appropriate accessories. Please call in the professional help of a Laco advisor when making your choice. He knows the product range and can flawlessly combine your application with the right components. 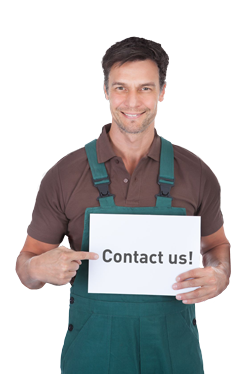 At Laco, you will get the advice and service you need. Enerpac VLP and XLP bench and workshop presses are a concept in companies, where high-quality presses with a large capacity are required (ranging from 50 to 200 ton). The VLP presses for heavier loads (100 and 200 ton) are equipped with the Hydrajust, which allows effortless daylight adjustment by moving the lower bed up and down. VLP models are standard equipped with an integrated pressure gauge for optimal pressure control. Enerpac XLP presses stand out due to their width adjustment ability, the winch allows the cylinder to move from side-to-side.